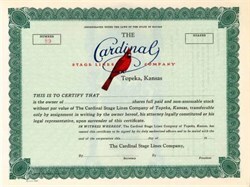 Beautifully engraved certificate from the Cardinal Stage Lines Company issued before 1936. This historic document has an ornate border around it with a vignette of a cardinal. This item is hand signed by the Company’s President and Secretary and is over 69 years old. 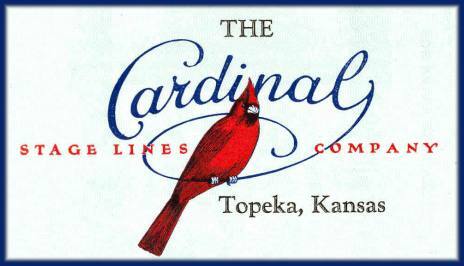 The Cardinal Stage Lines was part fo the Santa Fe Trail Transportation with its routes primarily in Kansas and Nebraska and extending to Denver.